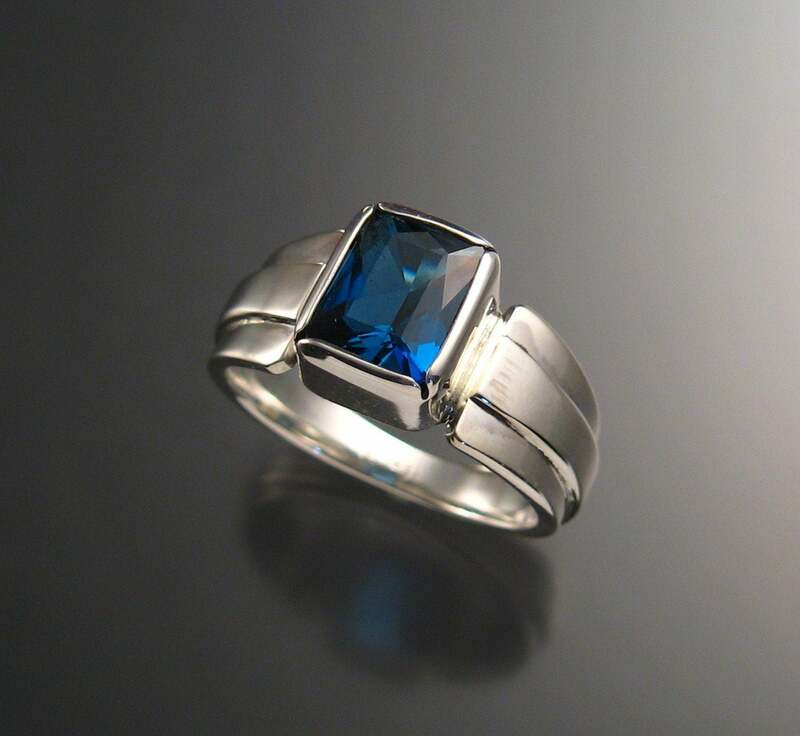 This is a large beautifully cut deep blue Topaz. 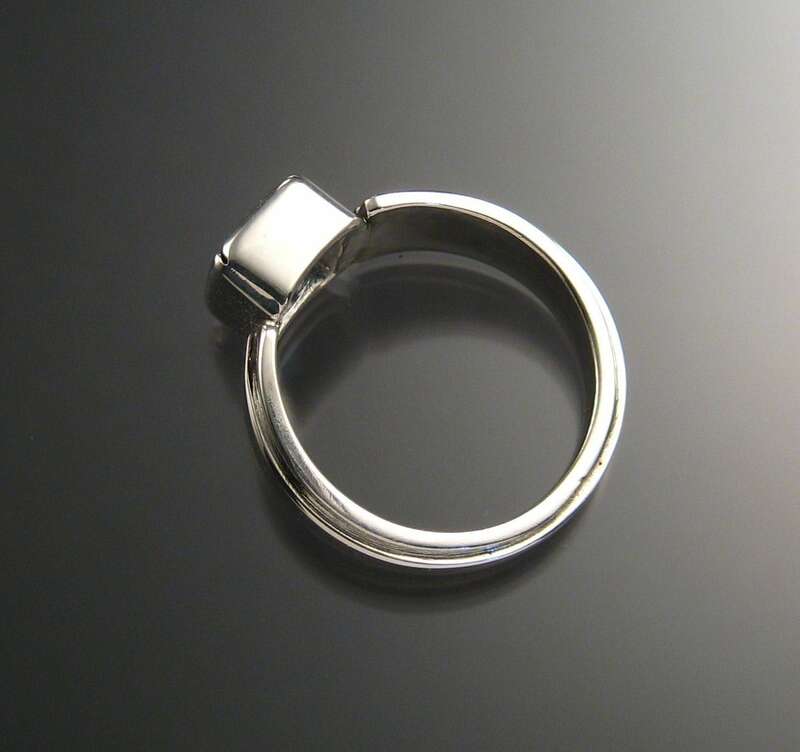 It is expertly faceted in an 8x10mm rectangular scissors cut. 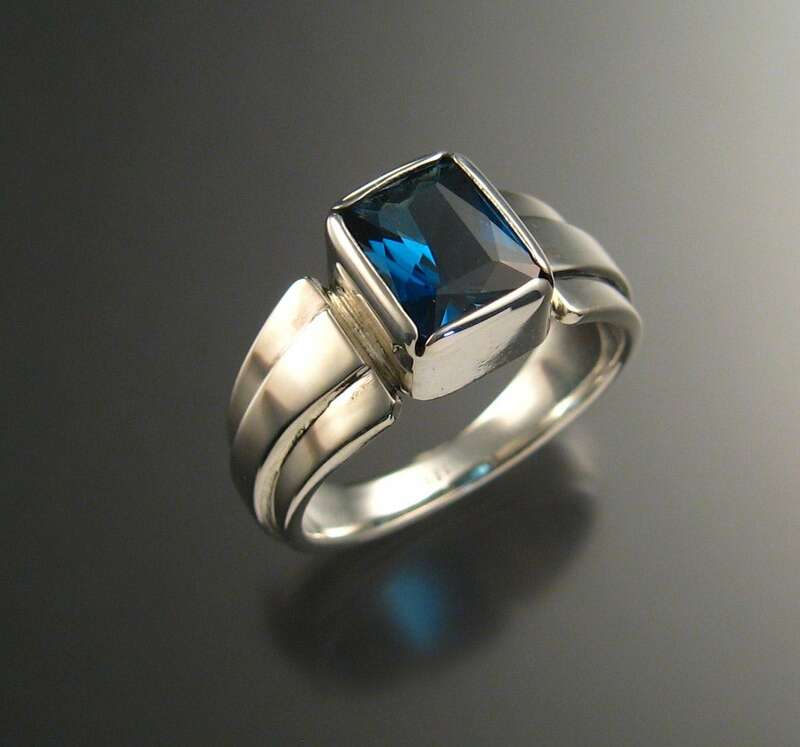 The stone is bezel-set in sterling Silver with wide tapered band with raised center. 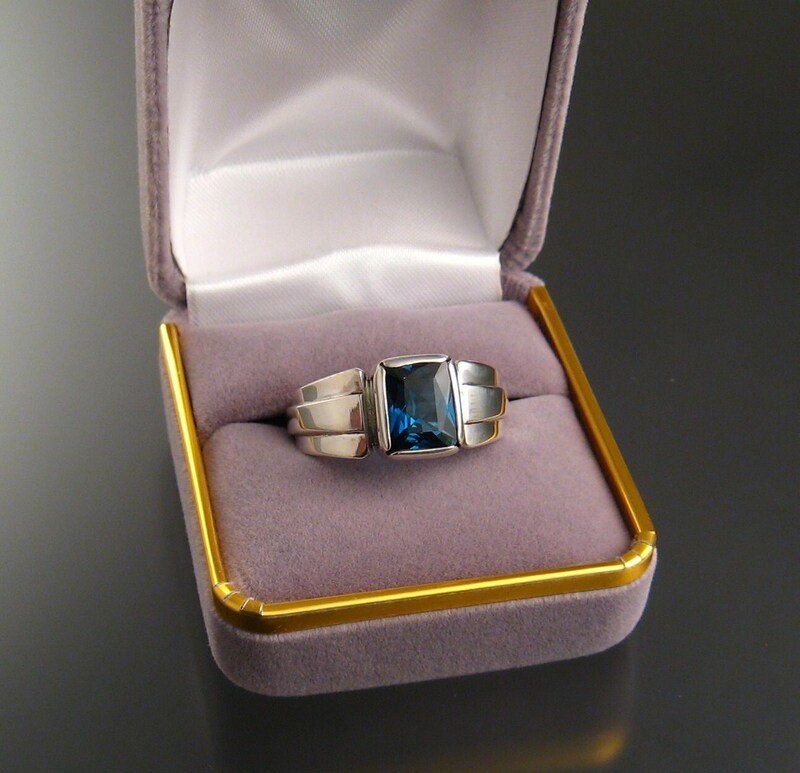 The pictured ring is size 10 for scale reference. 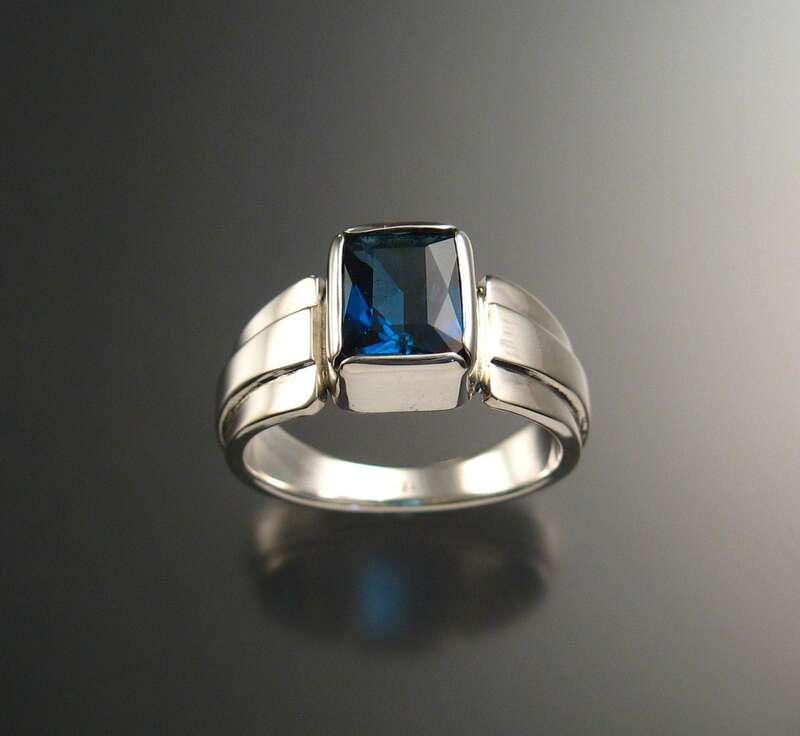 I can make this ring in any size between 6 and 12.